Metered Utility Rates North Vancouver & Sprinklers - C&C Property Group Ltd.
Is your strata corporation located in North Vancouver? Is your strata council planning their next operating budget? 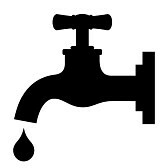 If so, the City of North Vancouver have advised that the 2014 metered water use rates per billing period are now $0.9888 per cubic meter or $2.8003 per 100 cubic feet. 2014 metered sewer use rates per billing period is $0.114 per cubic meter or $3.2285 per 100 cubic feet. For Mixed use Premises, the billing is the greater of the flat rate provided for the number of multi family dwelling units or the meter rates. New rates will be reflected on the May billing for January, February, march and April consumption figures. If your strata corporation uses a sprinkler system to water the landscaping, consider asking your sprinkler company to install a rain sensor. This is an inexpensive device which works by preventing the sprinkler system from turning on when it rains. A rain sensor will lower your strata corporation’s water consumption, resulting in lower operating costs if your strata corporation uses a water meter. C & C Property Group Ltd. provides property management services to strata corporations in the Metro Vancouver area.